Masanori Kanda is an entrepreneur, best-selling author, teacher, and trainer in Japan. Future Mapping was created by Masanori and inspired by techniques he learned from Paul Scheele and Win Wenger, Ph.D., in Genius Code. In fact, Masanori translated, published, promoted, and taught Genius Code, Natural Brilliance, and PhotoReading in Japan, and he has attracted more people to PhotoReading than any other instructor. 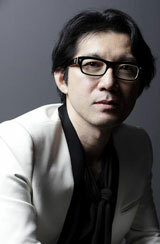 He is an innovative thinker in many domains and has been the number one-rated marketing consultant in Japan. Masanori has excelled as an author in both fiction and nonfiction in business and the arts. His works include 2022 – Success Principles for the Next Ten Years, 90 Days to Business Riches, Contagious Word of Mouth, Unlikely Law of Success, The 60-Minute Project that Will Raise Your Business to the Top, Confessions of Self-Made Millionaires, Melody of Life, and Money and Justice. He also produced the musical With You and the TV series The Power to Work. 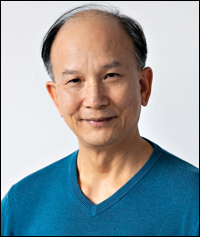 Masanori is founder of the Action Center of Business and Humanity and a consultant to clients in large corporations, nonprofit organizations, government agencies, and schools, and to entrepreneurs and professionals in many fields. Dr. Al Siebert was internationally recognized for his research into the inner nature of highly resilient survivors. His book The Survivor Personality is now in its eighteenth printing, and has been published in German, Dutch, Russian, Hebrew, Chinese, Japanese, Spanish and United Kingdom editions. 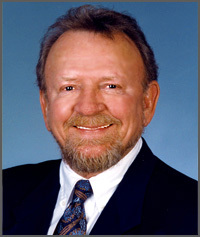 Articles quoting Al’s work have appeared in Nation's Business, Family Circle, Men's Fitness, The Wall Street Journal, The Los Angeles Times, New Woman, Outdoor Life, Bottom Line/Personal, Good Housekeeping, USA Weekend, CBSHealthwatch.com, Human Resources Magazine, and many trade publications. His popular quiz "How Resilient Are You?" has been reprinted in many articles and books. He has been interviewed about the survivor personality on the NBC Today Show, The Unexplained, NPR, and Oprah. Up until his death he spoke to many corporations, government agencies, education and health care groups on "Resiliency in Non-Stop Change." Bernie Saunders is a longtime friend and colleague who has built a sterling reputation in the world of accelerated learning. He was instrumental in getting American Express Financial Services to commission Paul Scheele and Learning Strategies Corporation to develop PhotoReading back in 1985. As a lifelong educator and corporate trainer, Bernie helped his clients experience breakthroughs that not only got them more benefit from classes, but additional accomplishments in their outside lives. 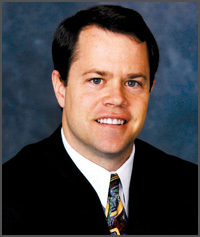 Bill Harris co-authored the Fresh Start Paraliminal and founded Centerpointe Research Institute. Bill, who passed away in 2018, had been involved in personal development since the 1970s as a seeker, teacher, public speaker, author, musician, composer, therapist, workshop leader, and business owner. A student of ancient and modern research into the nature of the mind, he had studied and practiced a variety of traditional and modern transformational techniques and approaches with a variety of teachers. Bill was a private pilot, flying a Piper Malibu Mirage, and was CEO of Mercury Aviation, LLC. He had played saxophone, flute, clarinet, and piano professionally for over 30 years. He has two children: Brisa, born in 1984, and Evan, born in 1993. Bill had been frequently invited to present at scientific forums and conferences across the U.S., and over the years had taught a wide range of workshops and seminars. 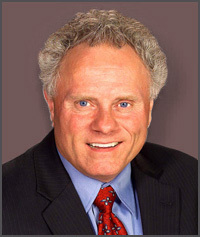 He was president and Director of Centerpointe Research Institute and President of The New You Enterprises, Inc. Prior to that he had conducted his own private therapy practice utilizing cognitive therapies and Neuro Linguistic Programming. 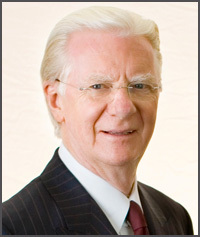 Bob Proctor worked with Paul Scheele to create our Power Thinking Paraliminal. Bob is a legendary life coach, transformational leader, best-selling author, and the most colorful teacher of The Secret. Bob's entire life focus is on helping people create lush lives of prosperity, rewarding relationships, and spiritual awareness through the transference of information and experience. 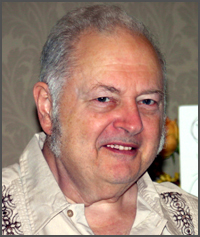 Bob is widely regarded as one of the living masters and teachers of The Law of Attraction and has worked in the area of mind potential for almost 45 years. He is the best-selling author of You Were Born Rich, and has transformed the lives of millions through his books, seminars, courses and personal coaching. Brian Osborne, creator of our Aura Seeing personal learning course, is a healer and teacher with more than thirty years of extensive training in classical Eastern traditions, Western shamanism, and Western esoteric traditions in the healing arts. He holds a degree in musical performance and a master’s degree in acupuncture and herbal medicine. Brian grew up in a close-knit family, steeped in the rich Native American traditions and teachings of his grandparents and parents and very much in tune with the earth and the environment around him. He has traveled the world to study the ancient practice of alchemy and other energetic healing practices in the hermetic and shamanic traditions. 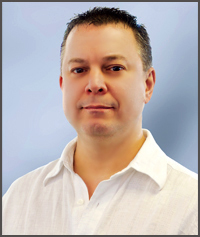 Today Brian runs a holistic health and acupuncture clinic and teaches Western esoteric healing practices. 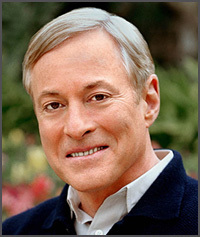 Brian Tracy and Paul teamed up to create the Focus and Concentration Paraliminal. Brian is one of the most well-known sales trainers and experts on entrepreneurship in the world, and what he knows can change anyone's life. Brian addresses more than 450,000 people each year throughout the world on leadership, sales, managerial effectiveness, and business strategy. He says the single most important thing YOU can do every day is stay focused on your top goals. Brian calls this Focal Point Thinking. Many Qigong masters have studied Qigong meditation, but few have lived it as has Chunyi Lin. Master Lin studied with a Shao-Lin Temple Buddhist, Master Yao, Master Yian in China's Guangdong Province, the famed Master Zhang in Xichuan Province, and a few other respected masters who do not want their names revealed. Master Lin established the fundamentals of Spring Forest Qigong in 1994 before arriving in the United States in 1995. Since then over 100,000 people have explored the healing practice of Spring Forest Qigong. Master Lin has been involved with multiple research programs with organizations such as the University of Minnesota. He is a frequent keynote speaker at health conferences. Chunyi is a member of the Transformational Leadership Council. Chunyi Lin lives with his wife, son, and daughter in the Twin Cities. David Rubenstein, Ph.D., Medical Science, is the developer of the "Kinetic Sequencing" technology called the Rubenstein Method. His training and expertise is in Kinesiology and Pain Management, and his clinic, the Rubenstein Center for Stress, Anxiety, and Chronic Pain, helps people heal their stress, anxiety, and chronic pain, and achieve other health benefits. The Rubenstein Method is a rapid recovery therapy that uses small and precise resistance motions to establish new patterns in the brain. Kinetic Sequencing is the process of guiding various parts of the body through these motions. This activates the neuro-muscular system by triggering the brain to observe and correct nervous system errors, thereby enhancing body and brain functions. 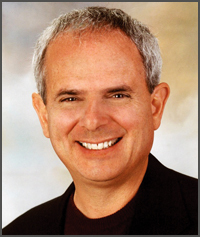 David Rubenstein created our Walkabout Course with Paul Scheele. Deirdre Hade, creator of Pure Energy, is a spiritual teacher, healer, and the founder of Radiance Healing and Radiance Meditation. After her mother was diagnosed with advanced breast cancer when Deirdre was 15, Deirdre began developing a method of energy work to assist her mother. At this time she was given an original first edition of A Course in Miracles and began studying the text in earnest. Her mother lived 11 years longer than was thought possible. At the loss of her mother when Deirdre was in her twenties, she poured herself into spiritual study. Twenty years later she received her awakening while in deep meditation on the energies of Kabbalah. She received “Radiance” and is dedicated to sharing the concept with the world. Deirdre is a member of the Transformational Leadership Council. D. Trinidad Hunt is an international author, educator, corporate consultant, trainer, and sought after keynote speaker. Trin is a visionary who touches the lives of those she meets. Trinidad's national best seller, Learning to Learn – Maximizing Your Performance Potential, is used in universities and accelerated learning programs throughout the world. Her novel, The Operator's Manual for Planet Earth – An Adventure for the Soul, was published by Hyperion, Disney's adult book division. She has also produced a small inspirational book of thoughts for the day called Remember to Remember Who You Are. The powerful technology of transformation presented by Trin in the Euphoria! Personal Learning Course is based on her 25 years of research with over thirty thousand students in the field of human development. You will maximize all areas in your life by a simple realignment of thoughts, feelings and emotions into a potent creative force. Hale Dwoskin, contributing author of Euphoria! 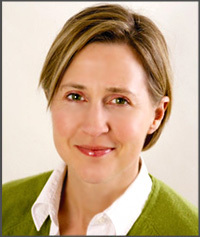 and New York Times Best-Selling author of The Sedona Method, is the Founder of Sedona Training Associates. 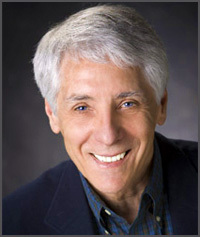 Hale co-founded the company in 1996 to teach courses based on the emotional releasing techniques originated by his mentor, Lester Levenson. The Sedona Method, a scientifically proven technique, has helped hundreds of thousands of people throughout the world to let go of their fear, anger, depression, grief, jealousy or any other emotion or emotional issue on the spot -- and to create a life filled with the happiness, success, peace, prosperity and emotional well-being they desire. 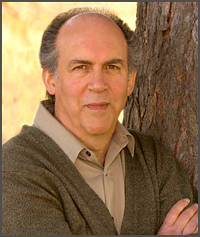 Dwoskin is an international speaker and featured faculty member at Esalen and the Omega Institute. For the last 30 years he has regularly been teaching The Sedona Method techniques to individuals and corporations throughout the United States, Canada, and the United Kingdom. 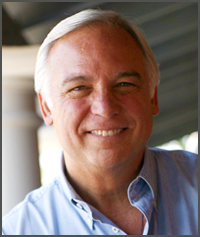 Jack Canfield is a wondrous example of how living the Law of Attraction allows you to use the power of your thoughts to improve your life, achieve your wildest dreams, and realize your only limitation is yourself. 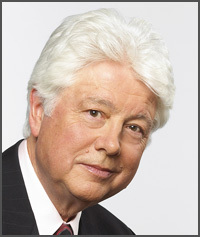 As the beloved originator of the billion-dollar Chicken Soup for the Soul series, which Time Magazine called the "publishing phenomenon of the decade," Jack is uniquely qualified to talk about success. Janet once lived as a crazy, busy, new lawyer, married and with two kids, a nonstop schedule, and a big mortgage. Then she stopped…took a breath…and exhaled. Janet created a more calm, centered, and pleasurable life. Eventually she gave up her law career, simplified her life, and began teaching others how to get off the treadmill, too. She started a newsletter, Simple Living, which quickly caught the attention of the media. Her best-selling book, The Simple Living Guide, has been called “the bible of the simplicity movement.” Her follow-up book, Simple Loving, tracks the connection between simplicity and loving relationships. Janet has appeared in nearly all the major media in the United States and Canada, including Oprah, Donahue, Maria Schriver, Peter Jennings World News Tonight, and NPR, as well as the New York Times, the Wall Street Journal, Time, U.S. News & World Report, the Washington Post, Yoga Journal, Vegetarian Times, Redbook, Family Circle, Ladies’ Home Journal and countless others. At the age of 20 Jeddah began a spiritual quest, traveling to Asia to study with the great masters of consciousness, including His Holiness the Dalai Lama, His Holiness Ajahn Buddhadassa, Lama Zopa Rinpoche, Master Goenka, and many realized teachers in the Tibetan, Theravadan, and Bhutanese traditions of Buddhism. Every aspect of her teachings reflects your true nature and not creations of the mind, which is a unique approach. Most spiritual teachers use creations of the mind, such as mantras, visualizations, mental processes, and metaphors, in an attempt to step their students into conscious awareness. This only serves to strengthen the separation from the Sea of Awareness; whereas Jeddah's approach immediately brings the student into oneness with the Sea of Awareness. Jeddah created a powerful meditation program with Learning Strategies called Changing the Paradigm. It includes the three volumes of Seeds of Enlightenment and Embracing Freedom and Infinite Grace. JJ Virgin is a celebrity nutrition and fitness expert who teaches clients how to lose weight, reclaim their health, and master their mindset so they can lead bigger, better lives. 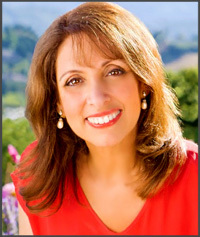 She is the author of four New York Times best-selling books: The Virgin Diet, The Virgin Diet Cookbook, JJ Virgin's Sugar Impact Diet, and JJ Virgin's Sugar Impact Diet Cookbook. Her book Miracle Mindset: Show Up. Step Up. You Are Stronger Than You Think explores the powerful lessons in strength and positivity that she learned after her son Grant was the victim of a brutal hit-and-run accident. JJ hosts the popular JJ Virgin Lifestyle Show podcast and regularly writes for Huffington Post, Rodale Wellness, and other major blogs and magazines. She is a frequent guest on TV and radio and speaks at major events. 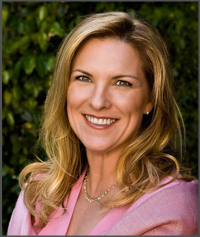 JJ is also a business coach and founder of the Mindshare Summit, a premier health entrepreneur event and community. 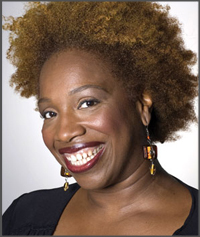 Lisa Nichols, teacher of The Secret, is a dynamic international motivational speaker and powerful advocate of personal empowerment. She is the Founder and CEO of Motivating the Teen Spirit, LLC which is recognized by many as the most comprehensive empowerment skills program available today for teen self-development. Despite being labeled "one of the worst writers" by her English teacher, she's landed two major book publishing deals with the best selling Chicken Soup for the Soul series. 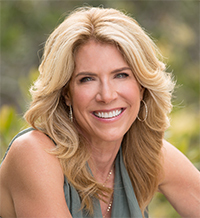 She's appeared as a guest on The Oprah Winfrey Show, an expert Life Coach on NBC’s hit show, "Starting Over" as well as one of the leading teachers featured on the international hit DVD, "The Secret." Her highly sought after no-holds-barred messages are delivered with powerful intensity as she connects through her candid conversational style with employees of major corporations, members of empowerment groups, entrepreneurs, small business owners, educators, teens, and anyone who has the pleasure to attend one of her many standing room only presentations. Lisa is author of You Deserve It! Paraliminal and the No Matter What! personal learning course. Marci Shimoff is the woman's face of the biggest self-help book phenomenon in history, Chicken Soup for the Soul. Her six bestselling titles in the series have met with stunning success, selling more than 13 million copies worldwide in 33 languages and have been on the New York Times bestseller list for a total of 108 weeks. 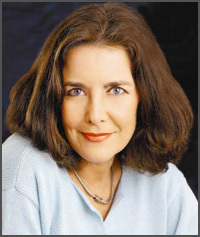 Marci is one of the bestselling female nonfiction authors of all time. In addition, she’s a featured teacher in the international film and book phenomenon, The Secret. As an acclaimed authority on success and happiness, Marci is often approached by media for her insights and advice. She has been on more than 500 national and regional television and radio shows and has been interviewed for over 100 newspaper articles nationwide. Her writing has appeared in national women's magazines, including Ladies Home Journal and Woman's World. Marci has authored the Happy for No Reason Paraliminal and the Happy for No Reason personal learning course. 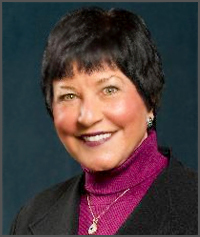 Marie Diamond, creator of Diamond Feng Shui, Diamond Dowsing, Diamond Quantum Colors, and Diamond Hexagrams, is an internationally recognized Feng Shui Master, personal coach, business consultant, and star of The Secret movie. In addition she is a business woman, lawyer, mother, and wife. Marie is committed to personal and planetary transformation through the application of energy principles in the environment and in everyday life. Marie's international clients include petrochemical and software companies, banks, fashion houses, spas, hotals, restaurants, and film and theatre production companies. She has also served as a personal Feng Shui consultant to individuals and families including well-known celebrities in entretainment and publishing. Marie has seen many lives transformed as the result of simple changes made to their homes or workplaces through Diamond Feng Shui. Marie is a founding member of the Transformational Leadership Council. For over two decades Dr. J. Michael Bennett served as a rhetoric professor at the University of Minnesota. His award-winning teaching and research on human communication focused primarily on listening, reading, speaking and writing. He earned a doctorate degree in reading. 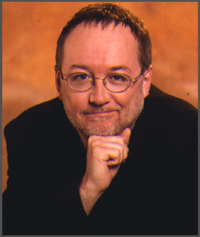 Up until his death in 2013, Mike was active in The International Reading Association, The National Council of Teachers of English, The American Reading Forum, The National Reading Conference, The Speech Communication Association, and the North Central Reading Association, of which he was President and former Editor-in-Chief of their publication, "The Journal of College and Adult Reading and Learning". No other self-study vocabulary program approaches the level of effectiveness as his Million Dollar Vocabulary Personal Learning Course. 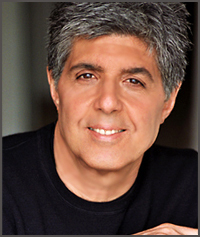 Paul Hoffman is a leading composer and producer of empowering music for many of the foremost thought-leaders including Robert Allen, T. Harv Eker, Chris and Janet Attwood, Cynthia Kersey, Mark Victor Hansen, Kim Castle, John Assaraf, and Sarano Kelley. He is the composer of Success Songs, empowering music to inspire people to hear life from a higher vibration. Paul is the creative force behind Paul Hoffman Music Inc. and Blue Music and Sound Design. He is an accomplished composer and producer of music for commercials, film, television, and radio in Los Angeles, California. 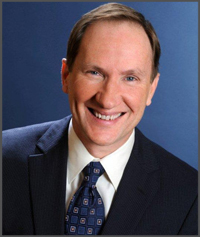 Rex Steven Sikes, contributing author of Euphoria!, is a Master Trainer of NLP, speaker, business consultant, writer and expert in accelerated learning and brain-based learning. He appeared before millions on a national NBC talk show where he assisted a "warring" couple resolve their conflicts and renew their love. He has worked with attorneys in a major trial in the U.S. and can often be heard on TV and radio doling out his expert advice on subjects ranging from business persuasion to love relationships. His knowledge, skill, background, and most importantly his commitment to teaching you make him an experience you will talk about for a lifetime. Rex began doing public appearances by the age of three, becoming a professional magician by eight years old. At fifteen, he joined a church and began doing ministry work taking him to foreign countries. He headed for Hollywood at eighteen where he worked as an actor and stand up comedian. While in California, Rex also studied under eastern religious masters like Rajneesh, Muktananda, Krishnamirti and Zen masters. When he is not training with IDEA Seminars, Rex does customized business consulting, executive coaching and expert modeling. Some of his clients include attorneys, CEO's, sales managers, personnel managers, small business owners, training personnel, investors, teachers and educational administrators. Stewart Emery worked hand-in-hand with Paul to create the Success Built to Last Paraliminal. Stewart is co-author of the best-selling book by the same name, Success Built to Last and is considered one of the fathers of the Human Potential Movement. He co-founded Actualizations, led seminars in dozens of countries, and coached over 12,000 people in the last three decades. Since the 1970s Stewart has been a force to be reckoned with in the self-help industry, especially in the area that relates with leadership, performance, and self-improvement. Over the last 15 years Stewart has led thousands of employees and hundreds of managers around the world through Vision/Values/Strategy/Leadership initiatives. Aside from work, Stewart’s portfolio of passions also includes aviation (he and his wife Joan are both instrument rated pilots and fly a Beechcraft Bonanza), jazz, Baroque music, travel, technology, and coffee. Originally from Sydney, Australia, Stewart lives by the San Francisco Bay Area with his wife Joan. Tom McCarthy, who worked with Paul on the Talking to Win and Peak Performance Paraliminals, believes anyone can become an outstanding communicator. For 21 years as a corporate consultant, speaker, author, trainer, and coach – Tom has successfully taught hundreds of thousands of people how to dramatically increase their level of performance in business and in life. In 1986, Tom began working with Anthony Robbins. He became the Robbins Research national sales manager. In 1993, Tom founded Thomas McCarthy & Associates, a training and consulting firm which works closely with clients ranging from startups to Fortune 500 companies. In addition to coaching and training peak performers in business, Tom has also been hired to work with Olympic Gold Medalists as well as several World Champion athletes and teams. 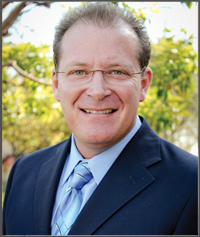 Tom resides in Rancho Santa Fe, California with his wife Stacy and their two children. 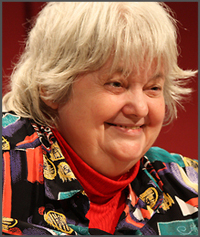 The mastermind behind the concepts of the Memory Optimizer home study course was Vera F. Birkenbihl. Up until her death in 2011, Vera held the distinction as one of Germany's most sought after management consultants having taught over 300,000 students. Sales of her best-selling books have exceeded two million copies. She was a psychologist who also studied in the United States where she gained a keen grasp for the nuances of the English language. She was fluent in several additional languages, a testimony to her famous Birkenbihl method of instruction and learning. 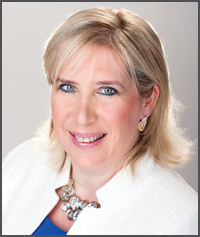 Mrs. Birkenbihl founded the Institute for Brain Friendly Procedures in Odelzhausen, Germany. Win Wenger, Ph.D., co-author of Genius Code is a pioneer in the fields of creativity and creative method, accelerated learning, brain and mind development, and political economy. Formerly a college professor, Dr. Wenger is a trainer renowned around the world and the author of 48 published books, including his breakthrough text of techniques to facilitate scientific discovery and technical invention, Discovering the Obvious. His main texts of education-related and growth techniques are Beyond Teaching and Learning, How to Increase Your Intelligence, and his most widely popular work, The Einstein Factor, co-authored with Richard Poe. Win Wenger has also founded the unique nonprofit organization Project Renaissance, dedicated to increasing individuals' potential and accelerating the dawning of a new Renaissance. The Project Renaissance web site contains major inventions Win has released into the public domain, reviews of his books, descriptions of the creative problem-solving techniques he has developed, up-to-date schedules of events and training courses sponsored by Project Renaissance, and a wealth of other material of interest to those concerned with increasing effective IQ, enhancing creativity and problem solving, and sharing their ideas with like-minded others.